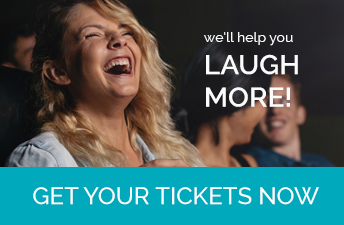 Purchase individual show tickets, season subscriptions or group tickets for the Foster Festival - three comedies at our theatre in the heart of Niagara. Please call or visit the box office to select your preferred seating when purchasing a subscription. All ticket pricing already includes all Fees & Taxes. Buy tickets online! It’s safe and secure. Prefer to speak to a Box Office representative? Give us a call! *PLEASE NOTE: Box Office will be open 1 hour prior to performances or 30 mins prior to films, outside of posted hours. Payment by cash, debit, or credit card is required at the time of your order. Click the image below to view full seating chart. The theatre is located at the corner of St. Paul Street and Carlisle Street. A multi-tiered parking garage across from the Performing Arts Centre, on Garden Park Str. public parking entrance is off of Garden Park. Parking is FREE downtown at meters and in public lots after 6pm during the week and FREE all day on Saturday and Sunday.